Sunday Update: Mission: Impossible - Rogue Nation was able to hold off Fantastic Four this weekend to remain in first place at the box office. Paramount's Rogue Nation led the way with an estimated $29.4 million, which represented a solid 47 percent decline from last weekend's debut. In the process, the fifth installment of the Tom Cruise led action franchise surpassed the $100 million domestic mark this weekend. Rogue Nation has grossed $108.65 million in ten days, as the film continues to perform in line with pre-release expectations. The film is currently running 28 percent ahead of the $85.10 million ten-day take of 2006's Mission: Impossible III (which fell 48 percent in its second weekend to gross $25.01 million) and 3 percent ahead of the $105.21 million ten-day gross of 2011's Rise of the Planet of the Apes (which fell 49 percent in its second weekend to gross $27.83 million). Mission: Impossible - Rogue Nation is likely to hold up well throughout the rest of August, thanks in part to strong word of mouth and in part to the limited amount of new competition it will be facing throughout the second half of the month. Mission: Impossible - Rogue Nation took in an estimated $4.3 million from IMAX locations this weekend. That helped contribute to the film's solid hold this weekend and represented 14.6 percent of the film's overall weekend gross. The total IMAX domestic gross for Rogue Nation stands at $15.5 million to date. Fantastic Four was off to a very weak second place start this weekend with an estimated $26.2 million. Fox's relaunch attempt of the Marvel superhero franchise didn't come anywhere close to expectations, which had tended to range from $40 million to $50 million heading into the weekend. Poor critical reviews and toxic early word of mouth that spread like wildfire as the weekend went on both clearly took a major toll on the film. In addition to the poor reception to the film, the decision to aim Fantastic Four heavily towards the young adult audience appears to have backfired as well. Fantastic Four opened a disappointing 55 percent behind the $58.05 million debut of 2007's Fantastic Four: Rise of the Silver Surfer and only outpaced the $22.00 million start of 2012's Chronicle (which was also directed by Josh Trank) by 19 percent. Fantastic Four opened with $11.28 million on Friday (which included an estimated $2.7 million from Thursday evening shows), fell a troubling 25 percent on Saturday to gross $8.50 million and is estimated to fall 24 percent on Sunday to gross $6.43 million. That gives the film an estimated opening weekend to Friday ratio of only 2.32 to 1, which obviously isn't a good sign going forward. As further evidence of just how toxic word early word of mouth for the film is, Fantastic Four earned a poor C- rating on CinemaScore and a Flixster audience score of just 26 percent. Given the poor reaction to the film, a short theatrical life span for Fantastic Four appears to be set in stone. The news was far more promising for STX Entertainment's The Gift, as the new distributor's first release was off to a nice estimated third place start of $12.01 million. The Joel Edgerton directed thriller starring Jason Bateman, Rebecca Hall and Edgerton outpaced its modest expectations. The Gift was helped out by strong critical reviews and likely also received a bit of a bump from serving as an alternative choice to moviegoers who ultimately passed on Fantastic Four (especially as the weekend went on). 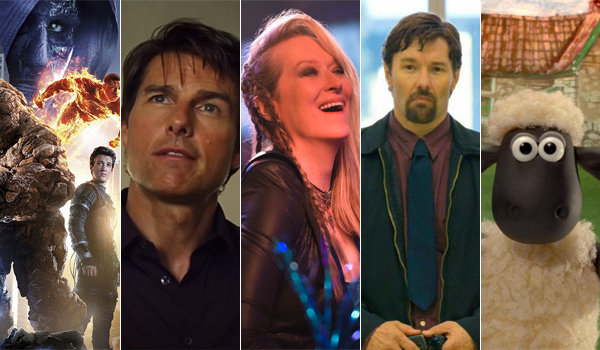 The Gift opened nearly on par with the $12.31 million start of The Giver last August and will hope to duplicate the strong holding power of that film going forward. The Gift took in $4.13 million on Friday (which included an estimated Thursday night start of just $0.59 million), increased an encouraging 10 percent on Saturday to gross $4.54 million and is estimated to decrease 26.5 percent on Sunday to gross $3.34 million. That places the film's estimated opening weekend to Friday ratio at 2.91 to 1. The Gift received a B rating on CinemaScore, which is a solid early sign, especially for a thriller. Making this weekend's start even more impressive is that the film's reported production budget was only $5 million. Warner's Vacation took fourth place with an estimated $9.15 million. The comedy franchise re-launch starring Ed Helms and Christina Applegate was down a very solid 38 percent from last weekend. Despite this weekend's hold, Vacation is still running significantly below expectations with a twelve-day start of $37.32 million. That places the film an underwhelming 17 percent behind the $45.06 million twelve-day take of last year's Let's Be Cops. Ant-Man rounded out the weekend's top five with an estimated $7.83 million. The Paul Rudd led 3D superhero film from Disney and Marvel was down a solid 39 percent, as it also benefited from serving as an alternative choice to Fantastic Four this weekend. Thanks in part to solid holding power thus far, Ant-Man has grossed $147.44 million in 24 days. Ant-Man is now running just 6 percent behind the $156.97 million 24-day gross of 2011's Captain America: The First Avenger. In other box office news, Universal's Minions surpassed the $300 million domestic milestone this weekend after finishing in sixth place for the frame with an estimated $7.37 million. The blockbuster 3D computer animated prequel from Illumination Entertainment stabilized a bit this weekend, as it was down 40.5 percent from last weekend. Minions has grossed an impressive $302.72 million in 31 days. Sony's Ricki and the Flash debuted in seventh with an estimated $7.0 million. The comedy drama starring Meryl Streep opened on the very low end of its modest expectations and was off to a lackluster start by Streep's box office standards. However, the film's opening weekend performance was deflated a bit by the decision to launch the film in a modest 1,603 locations. In an attempt to help the film's holding power going forward, Ricki and the Flash will be receiving a significant expansion next weekend. Streep's films also have a history of displaying strong holding power. Ricki and the Flash received a solid B rating on CinemaScore. It should also be noted that the film's reported production budget was just $18 million. The weekend's other new wide release, Shaun the Sheep Movie, opened softly with an estimated eleventh place take of $4.0 million. Despite strong critical reviews, the stop-motion animated film from Lionsgate and Aardman Animations was unable to appeal to family audiences this weekend. Since its debut on Wednesday Shaun the Sheep Movie has grossed $5.57 million in five days. That places the film 55 percent behind the $12.27 million five-day take of 2012's The Pirates: Band of Misfits (which opened on a Friday). Shaun the Sheep Movie will hope to receive a boost going forward from its strong reviews and from the lack of new family fare entering the marketplace in the near future. The film also received an encouraging B+ rating on CinemaScore. Saturday Update: Fox reports this morning that the Fantastic Four reboot grossed $11.3 million in first place on its opening day Friday, including Thursday night's $2.7 million from early shows. That's a hugely disappointing start for the third attempt to bring the respected comic book property to the big screen, falling 49 percent short of Fantastic Four: The Rise of the Silver Surfer's $21.99 million first day in 2007 (the first film bowed to a similar $21.3 million opening day in 2005). Moreover, it marks one of the ten weakest opening days ever for a Marvel-based adaptation (of which there are nearly 40, if you can believe it) -- and the lowest since 2012's Ghost Rider: Spirit of Vengeance ($6.94 million). Despite tracking fairly well in recent weeks, the reboot's toxic reviews are certainly having an effect on the opening. Rotten Tomatoes critics' have given it just 9 percent as of Saturday morning, while audiences themselves have given it a sour 28 percent score so far. For the record, that's an abnormally low score after a high profile film's single day of release, and is the second lowest of any movie since we began tracking Saturday morning scores in 2013 (Devil's Due claimed 21 percent). Needless to say, Fantastic Four will not have a long lifespan in theaters, and we're confident the negative buzz will impact the rest of the weekend itself (not unlike 2011's poorly received Green Lantern, which dropped 22 percent from Friday to Saturday). BoxOffice is projecting an opening frame around $27 million, putting the flick in second place. 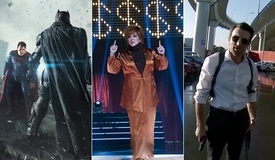 The film we project will end up ahead of Fantastic Four for the weekend is Mission: Impossible - Rogue Nation, which earned an estimated $8.165 million in second place yesterday. That's down about 60 percent from opening day last week, comparable to the 58.5 percent Friday-to-Friday drop of August 2011's Rise of the Planet of the Apes. Rogue Nation's eight-day domestic total stands at $87.4 million, putting it 2 percent ahead of the pace of the Apes reboot and 29 percent ahead of 2006's Mission: Impossible III. 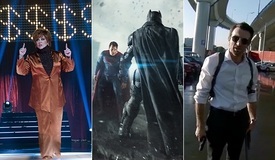 BoxOffice projects a strong $28 million sophomore frame. Debuting in third place yesterday was STX Entertainment's The Gift with an excellent $4.1 million. The thriller from writer/director/actor Joel Edgerton is riding a wave of fantastic reviews (92 percent on Rotten Tomatoes) and encouraging early word of mouth (85 percent on Flixster). All the more impressive for the sleeper title is its $5 million production budget, which will easily be made back this weekend. The studio notes that 53 percent of the audience was female and 73 percent over the age of 25. Look for an opening weekend around $10.6 million. Vacation claimed fourth on Friday with another $2.655 million, down 41 percent from last Friday. With $30.84 million in the bank so far, the franchise revival pic seems to be leveling out somewhat. 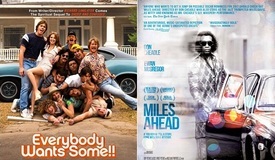 BoxOffice projects an $8.8 million sophomore weekend. Ant-Man completed the top five with $2.256 million yesterday, down 39 percent from last Friday and bringing its haul up to $141.9 million. 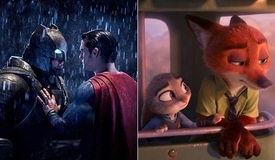 BoxOffice projects a $7.9 million weekend. Just behind in sixth place was the debut of Ricki and the Flash with $2.25 million. The Meryl Streep-led dramedy's debut was in line with the Wednesday opening figure of $2.27 million by the actress' August 2012 release, Hope Springs. The studio notes the pic received a "B+" CinemaScore from the core female demo, and a "B" overall. Critics are mixed on the film (59 percent), as are Flixster users (56 percent). The production budget was $18 million, and the film expands to over 2,000 theaters next weekend. The studio projects a $7.2 million opening frame. Meanwhile, Shaun the Sheep added $1.22 million yesterday, giving it a three-day total of $2.79 million. Despite excellent reviews (99 percent on Rotten Tomatoes) and considerable success with overseas crowds, the clay-mation release unfortunately isn't find a large audience domestically. Look for a weekend around $4 million, giving it an overall five-day bow of $6.8 million. Check BoxOffice on Sunday for weekend estimates from the studios. Friday Update #2: According to various sources, Fantastic Four looks to be on pace for only $31 million-$33 million during its debut frame. Poor reviews and negative buzz coming off Thursday evening shows are both having an impact. Mission: Impossible -- Rogue Nation could end up finishing in first again if F4 hits the low end of projections. The Gift is set for a solid $9 million and could get even higher if positive word of mouth continues to spread. Ricki and the Flash looking at an $8 million debut, while Shaun the Sheep should hit around $6 million. Check back tomorrow for updated weekend projections and official studio numbers. Friday Update #1: Sources report that Fantastic Four bowed to a lackluster $2.7 million from shows beginning at 8pm in 2,900 theaters last night. 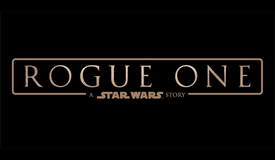 Unfortunately, that's the latest bit of bad news for the franchise reboot following a plethora of negative reviews (the film currently stands at 10 percent on Rotten Tomatoes). This arguably marks the weakest preview/midnight gross for a supposed A-list comic book adaptation in era when they've become fairly reliable and predictable. By comparison, last night's earnings were over 20 percent less than Green Lantern's $3.4 million in June 2011 -- and that film didn't begin shows until midnight. At this current pace, and with word of mouth expected to quickly sour audience interest, the Fantastic Four reboot might struggle to reach a $25-30 million opening weekend (the low end of that range based on using Ant-Man's recent Thursday-to-weekend ratio). If that holds, last week's Mission: Impossible - Rogue Nation could pull off an unexpected repeat finish in first place for its sophomore frame. Meanwhile, sources report that The Gift earned $585,000 from early shows in 1,820 locations last night. Given its low $5 million production budget, that's a fair start going into the weekend as it compares favorably to the $330,000 early show gross of last month's Self/Less and the $470,000 Thursday bow of last August's As Above/So Below -- neither of which had the strong reviews that The Gift does. Ricki and the Flash also debuted last night, pulling $200,000 from early shows. The Meryl Streep flick will hope to draw out its target older audience over the weekend. Last but not least, Shaun the Sheep is estimated to have grossed $715,000 during its second full day of release, giving it a two-day domestic tally of $1.567 million heading into the weekend. Check back for more updates throughout the day and weekend.